Many of us simply hang up the waders when the first snow starts to fly. For some of us, this is the time of year to sit by the fire and whip finish some streamers for the spring bite. Not everyone is willing to wait until spring, however, and that includes the guides at Kirks Flyshop. We love being on the water and winter can’t slow us down. Of course, even when it is cold, the weather in Colorado is almost always perfect. Even in the winter, we get just enough sunshine to keep a smile on the faces of just about everyone you will meet. This also creates the ideal situation for winter fly anglers. Well, yeah it’s cold. It’s March in the Rocky Mountains. Of course stretches of 70-degree weather are not uncommon either, meaning that the trout fishing is always accessible and fantastic. Trout fishing Colorado in the winter is one of the more magical experiences you can have. The weather is generally tolerable. Let’s face it, you need to be prepared and jumping into the Big Thompson river in a pair of blue jeans is not the best idea. An angler needs the proper gear, and the willingness to work a little harder for the fish of a lifetime. That being said, winter fly fishing is not different than skiing when it comes to comfort level. Do the Fish Still Bite? Unlike the chattering squirrels that live in the pines lining the river, trout do not shut down during the winter. As long as they have running water they will be just fine, even if the river is completely frozen over, which rarely happens here in Colorado. And fortunately, trout will feed all year round. In warm water fisheries like reservoirs, ponds, and lakes, the fish will still feed but they will hang out in pockets of warmer water near the bottom. Due to the nature of a frozen lake, and the behavior of fish during the winter, the best course of action is to drill a hole and wait for the fish to swim by. (Which, if you are interested in ice fishing, give us a call and we can talk more about it with you.) Trout on the other hand, are constantly moving but they tend to stay in the same holes throughout the year. When winter is here and the snow is building up in the high peaks of Rocky Mountain National Park, the water level in our rivers tends to drop considerably. What is left is prime trout habitat and they can be dramatically easy to find in the lower water. We will target deeper water in the winter and the results can be very successful. Trout in the winter are still hungry, despite the cold. They will still rise to something that looks tasty floating by. In fact there are numerous hatches that occur, even in the middle of winter. Catching one of these is truly a remarkable experience and can produce incredible action. Of course you will want to be prepared when such an event happens and match your flies accordingly. Winter will produce hatches of midges and all sorts of critters under the surface. These creatures will be the bugs that trout will gorge themselves on in the spring and summer, when they move past the larval stage and take flight. This time of year you will want to fish deeper to mimic those larvae and entice a bite. Weighted flies and sinking line are the usual winter setup for a fly rod, as this will get you down to where the fish are. How Can I Fish This Winter? Regardless of where you live, a trip to Estes Park is an excellent way to spend a vacation, even a mid-winter excursion. 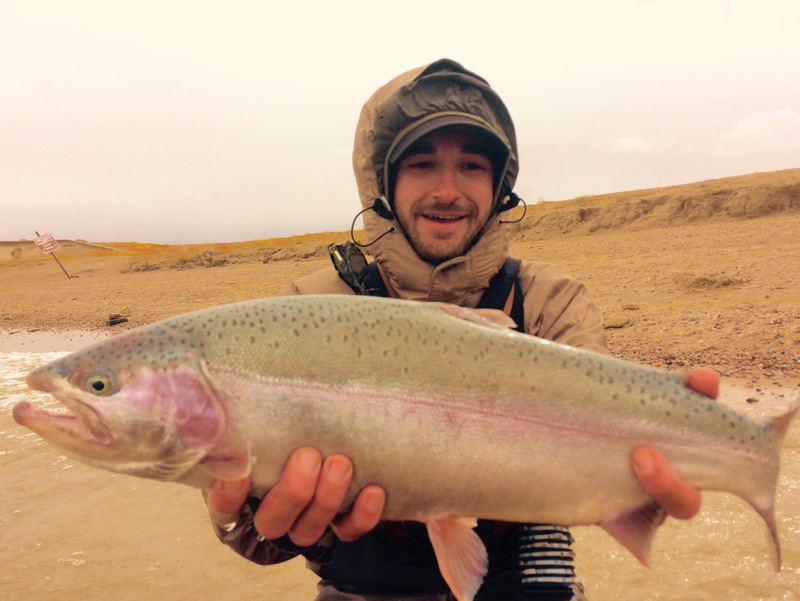 In addition to some of the finest winter fly fishing in the country, we have a huge selection of outdoor activities. 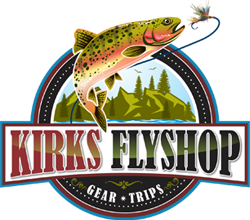 Pursuits like snowshoeing, skiing, tubing and ice skating are all within reach when you visit Kirks Flyshop. Of course once you finally decide to get involved with winter fly fishing, don’t say we did not warn you, it has become almost cult-like among its many devotees. Either way, whether you just want to experience the rush of catching huge fish with tiny flies or just want to sit back and take in the unparalleled scenery of Rocky Mountain National Park, a day on the river is exactly the place to be. If you are ready to book a trip before the snow is gone, we have two words for you, do it. Kirks Fly Shop will outfit you with everything you need to be nice and warm on the river. 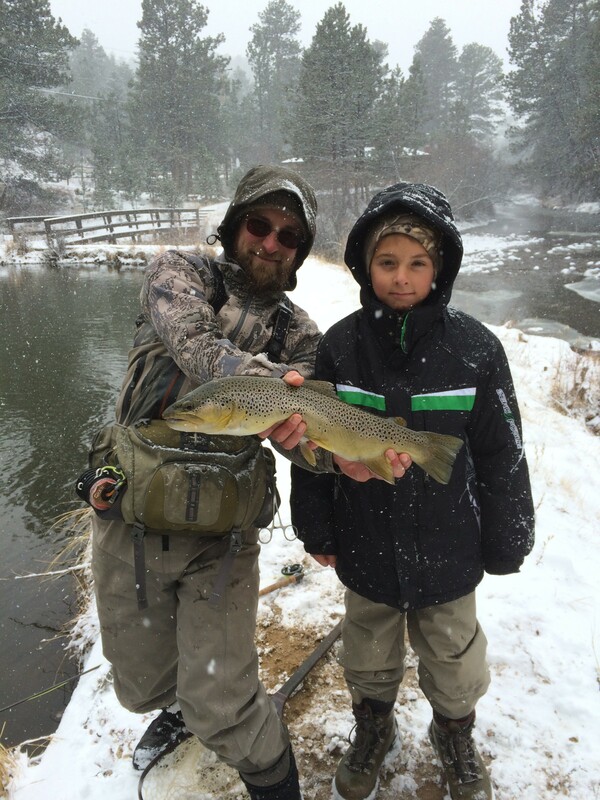 We will make sure you have every opportunity to experience the joy of winter fly fishing.